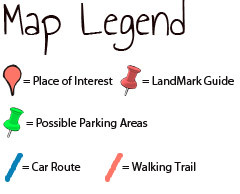 Map It! 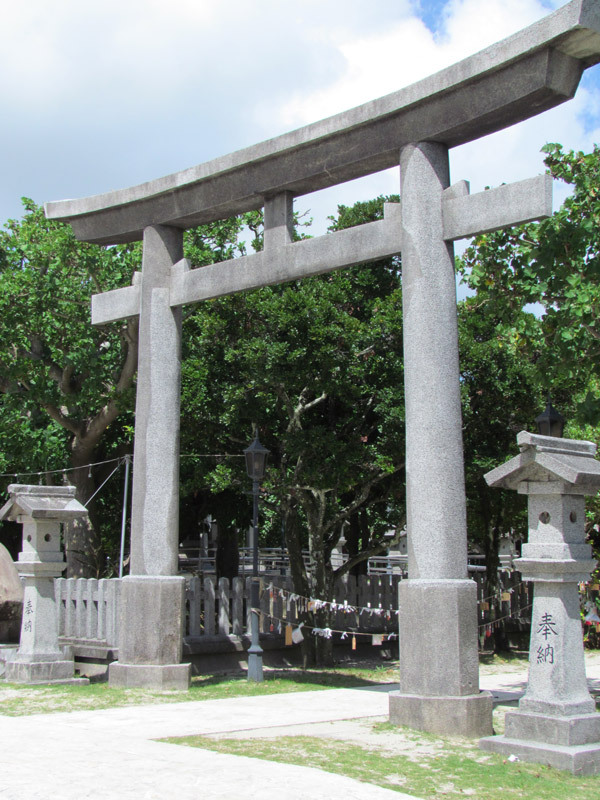 Okinawa: "The Awase Bijyuru Shrine"
Origins of the Shrine. It is said that the shrine houses three special stones that washed on the ashore long, long time ago and when a woman found them they followed her home(1). The stones are said to represent the Fire Kami-sama or Fire god or spirit (1) and people to this day come here to pray for good health, good fortune, and for fertility. 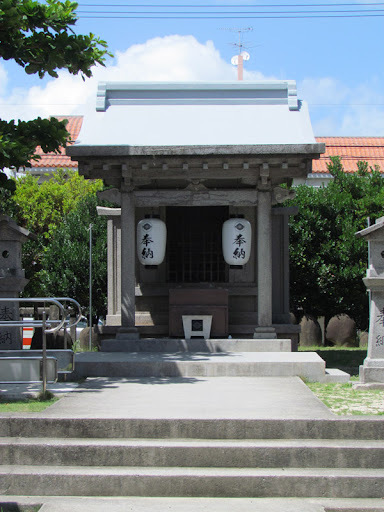 The shrine itself is referred to as the Bijyuru Shrine. The term bijyuru (ビジュル)is of the Okinawan language. When there is a stone that is considered sacred or special, Okinawans refer to these kinds of stones as Bijyuru. 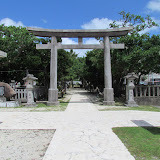 Other Okinawans have said that the stones were able to float on the ocean which is what made them special and thus taken in by the villagers for worship. How to get there? The Shrine is in Awase just off Hwy 85. There are two good landmarks to help guide you in. If you see the map above, you will see a San-A store and the other is an AU cellphone shop.The shrine is not so visible off Hwy 85 cause it is surrounded by trees. Parking. There wasn't any signs that I could tell that were designated parking areas. There was one for a big restaurant next door. Park at your own risk. There is a small kids park next to the Shrine, so if you want to stop there to have a lunch box feel free. Bring water, camera, and umbrella. Here We Go!!! Fire-kama sama? as in Hi or Fi nu kan? Yes, thank you, the Fire deity is also referred to as Hinukan ( ヒヌカン). Sometimes the Kanji, 火の神, may be written on stone tablets as its reference.